I have always said that Brazened Honey is my favourite fresh face mask from Lush - But this has taken the lead. 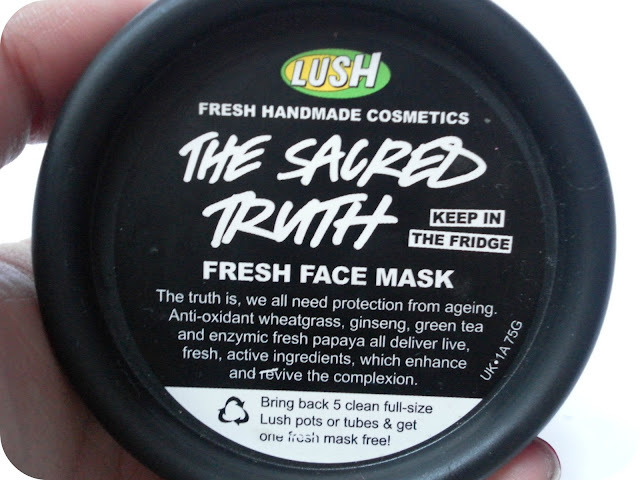 This is so cooling to put on (straight from the fridge, where all of Lush's fresh face masks should be kept!) it applies super easily and it makes my skin feel amazing. 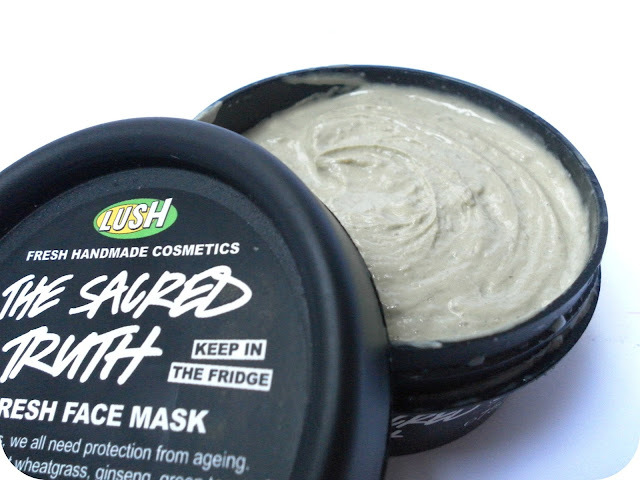 Yes OK, all of Lush's fresh face masks make my skin feel amazing but this makes it feel amazing for a combination of reasons, whereas the others I have tried, and reviewed here on my blog, usually just tick a few boxes each. This makes my skin look brighter, healthier and younger. My skin feels softer, supple and oh so very nourished. And it just feels lovely and cooling, calming even, when on. Like all of Lush's fresh face masks a 75g pot of this will cost you £5.75 and it has so far lasted me three uses, with plenty more to go! You can find it on the Lush website. I have also reviewed Brazened Honey, which you can read here, Catastrophe Cosmetic, which you can read here, Cupcake, which you can read here, and Love Lettuce, which you can read here. I have the seaweed one in the fridge at the minute! Will have to keep my eyes peeled for this! Your making me want to much stuff from Lush! I love that if you return 5 used up items they give you a free face mask! Never knew that before! I've only ever tried the garlic one, I keep going back to it - it's so unpleasant to use but is good in the long run, I might try this one next time though. i've only used Crash Course In Skincare.. will try Sacred Truth next.. here the minimum amount we get is 100g..
Oooh I'd love to try this! LUSH seems to creep onto my wishlist a lot!